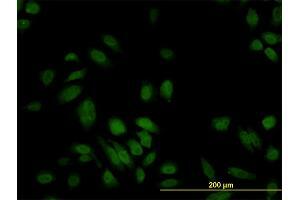 S100A6 monoclonal antibody (M10), clone 6B5 Western Blot analysis of S100A6 expression in HeLa . 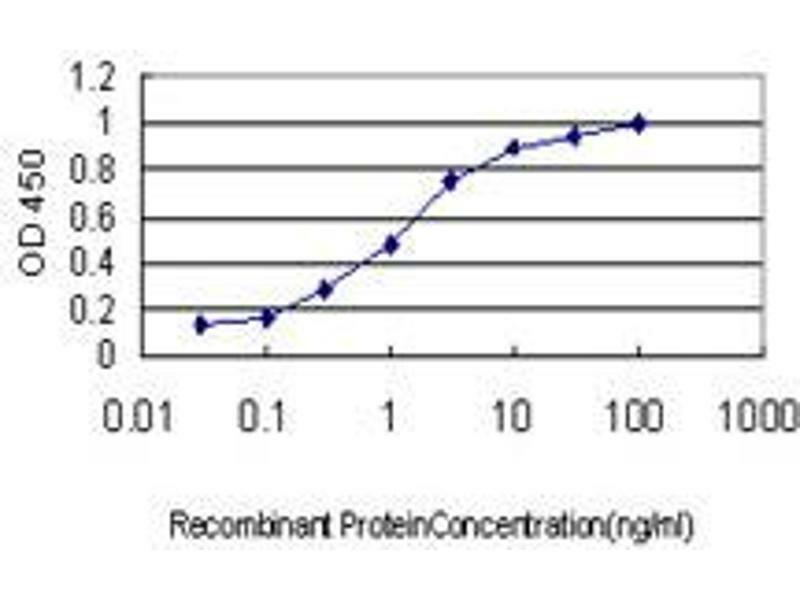 Detection limit for recombinant GST tagged S100A6 is approximately 0.03ng/ml as a capture antibody. 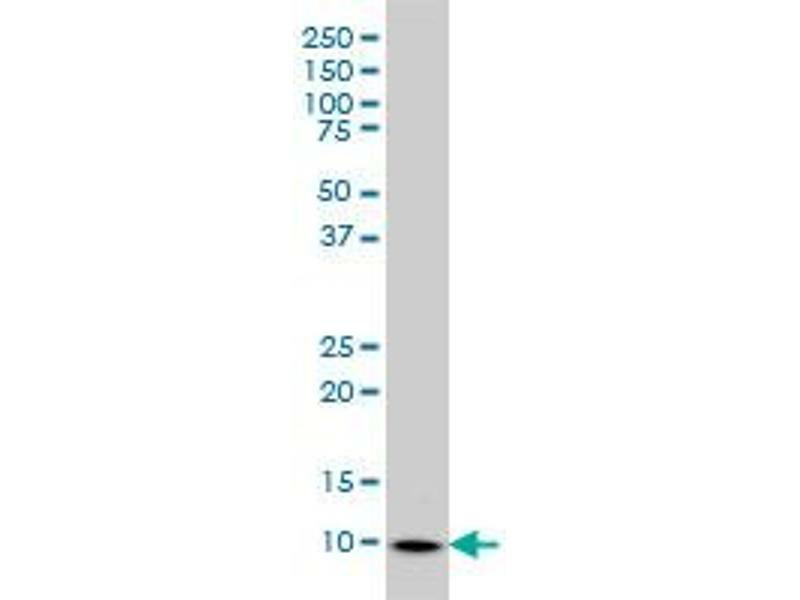 Western Blot analysis of S100A6 expression in transfected 293T cell line by S100A6 monoclonal antibody (M10), clone 6B5.Lane 1: S100A6 transfected lysate(10.2 KDa).Lane 2: Non-transfected lysate. 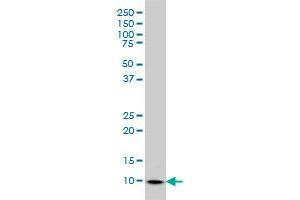 Western Blot detection against Immunogen (35.64 KDa) . 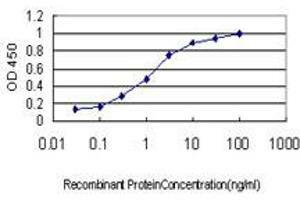 Immunogen S100A6 (AAH01431, 1 a.a. ~ 90 a.a) full-length recombinant protein with GST tag. MW of the GST tag alone is 26 KDa. 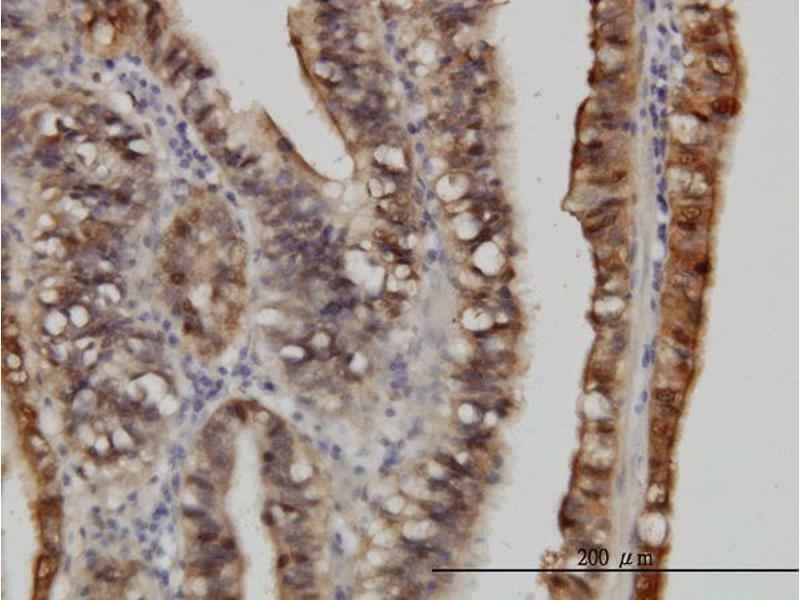 Product cited in: Chen, Huang, Nakatsu, Xue, Deng, Fan: "Identification of novel molecular markers through transcriptomic analysis in human fetal and adult corneal endothelial cells." in: Human molecular genetics, Vol. 22, Issue 7, pp. 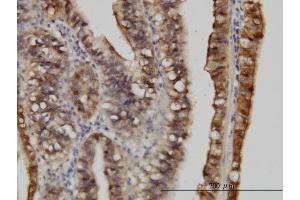 1271-9, 2013 (PubMed). 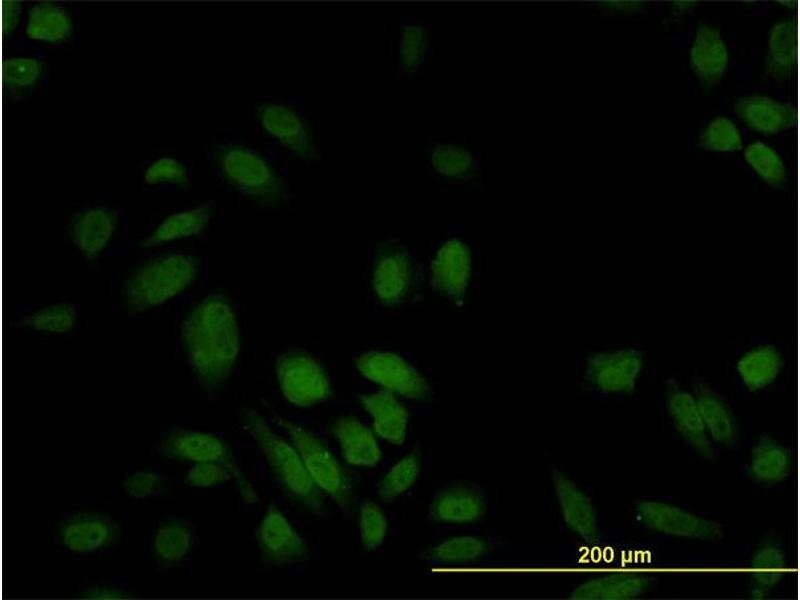 Li, Riau, Setiawan, Mehta, Ti, Tong, Tan, Beuerman: "S100A expression in normal corneal-limbal epithelial cells and ocular surface squamous cell carcinoma tissue." 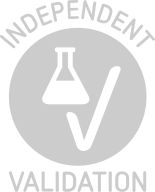 in: Molecular vision, Vol. 17, pp. 2263-71, 2011 (PubMed).